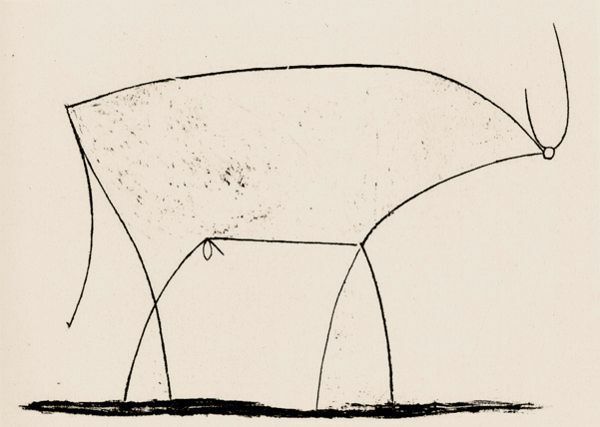 Pablo Picasso was fascinated with bulls, bullfighting, the image of the Minotaur and the cult of Mithras. 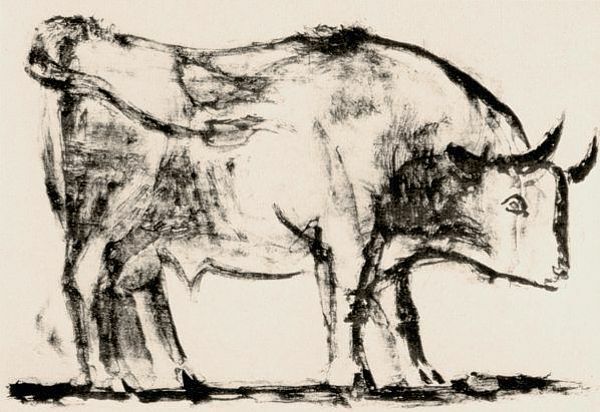 He also famously produced a set of eleven lithographs of bulls; all between December 1945 and January 1946. 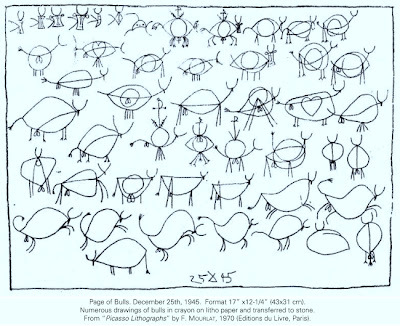 The series begins with this image. And ends with this one. 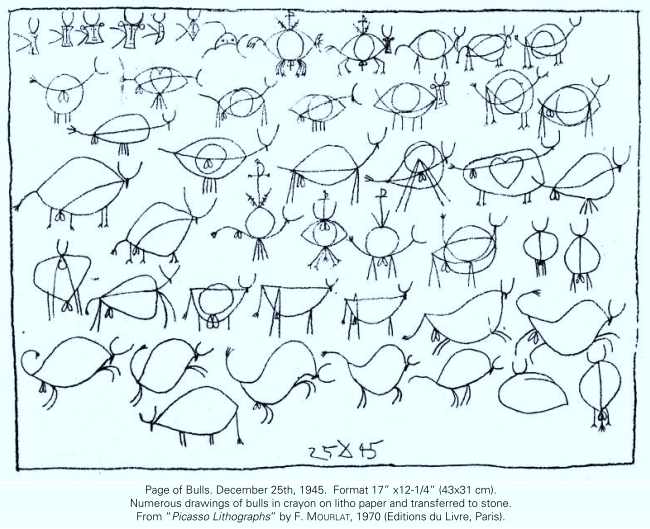 Picasso also produced this lithograph called Page of Bulls in December 1945.